The Mask is back, and it's Herman Shazbert's turn! When the mild-mannered zookeeper buys his wife a strange mask, the whole town wants to try it on! 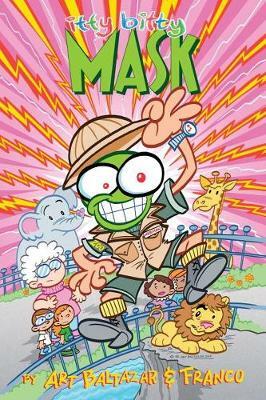 Grandma Shazbert, the Mayor, the animals at the zoo - everyone gets to share in the Mask's wacky powers! Don't miss a single panel of the fun from Aw Yeah Comics! and Itty Bitty Hellboy's Art Baltazar and Franco. Collects Itty Bitty Comics: The Mask #1-#4.